BOULDER — Rising costs for patients and providers, coupled with a lack of pricing transparency, are ongoing concerns for the health-care industry, according to participants at Tuesday’s Boulder Valley Health Care CEO Roundtable, a BizWest event. executives said, it is also an issue that consumers have a tough time understanding what they’re paying for. “You can go on Amazon and find out the price of pretty much anything in a second,” said Judy Ladd, executive director of the Boulder County Medical Society. That’s not always the case with health services. Boulder Medical Center CEO Patrick Menzies noted that it can be especially difficult for young people to navigate this maze because they tend to use health care service less frequently. So when they are forced to use services, they are unfamiliar with the process. Kendra Johnson, Flood and Peterson Insurance director of employee benefits, said there are tools and programs to help improve transparency, but many patients and providers are unaware they exist. Like many industries during the current period of low unemployment, the health-care industry struggles to find qualified workers to fill vacant positions, particularly positions such as medical assistants and critical care nurses. This is especially true in areas with a high cost of living. “Employees often can’t afford to live in Boulder or Boulder County,” said Boulder Community Health CEO Robert Vissers. Because the cost of living in the Boulder Valley is so high, many workers commute long distances to work, she said. If those workers find jobs closer to home, they will often jump ship. This creates higher levels of turnover and forces companies to spend more resources on hiring and fewer on providing health care. Health care has been a major issue across the country during elections season. In many states, including in Colorado, progressive candidates for office have pushed for universal or single-payer health care systems. 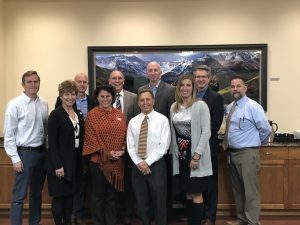 Most who participated in Tuesday’s roundtable agreed Colorado is not currently in a position to successfully implement such a system on its own. Even if there was the political will to adopt a single-payer model, UCHealth Longs Peak Hospital CEO Dan Robinson questioned the logistics of moving into that type of system. “I don’t know how you could operationally unwind (the system) we have now,” he said.